Spencer is on the nine-member board of the antiregulation, Scaife- and Bradley-funded Marshall Institute, though he appears not to disclose this affiliation on his website. Additional, and considerably more informative, assessments can be found at Skeptical Science and on another page, in the "External resources" section below. 2.2 Opposition to evolution and embrace of "intelligent design"
3.1 Criticism of "Global Warming Blunder"
Spencer holds M.S. and Ph.D. degrees in meteorology. Spencer is an anthropogenic global warming denier who believes that climate change is not human caused and will have minimal impact. To account for warming his favored alternative theory is that it's due to the Pacific Decadal Oscillation. ; yet the PDO "shows no [long-term] trend, and therefore...is not responsible for the trend of global warming". Scientifically, the crucial point in Spencer's position is that of climate sensitivity. Spencer suggests in his blog that climate sensitivity may be low, due to mainstream climate scientists underestimating clouds, and he claims that satellite data will support him . "Roy Spencer has come up with yet another “silver bullet” to show that climate sensitivity is lower than IPCC estimates. I.e., he fits a simple 1-box climate model to the net flux of heat into the upper 700 m of the ocean, and infers a climate sensitivity of only about 1 °C (2x CO2). There are several flaws in his methods–inconsistent initial conditions, failure to use the appropriate data, and failure to account for ocean heating deeper than 700 m. (He fixed the last one in an update.) All of these flaws pushed his model to produce a lower climate sensitivity estimate. When the flaws are corrected, the model estimates climate sensitivities of at least 3 °C, which is the IPCC’s central estimate. ... while Spencer’s latest effort doesn’t really do any damage to the consensus position, it turns out that it does directly contradict the work he promoted in The Great Global Warming Blunder." "Instead of complaining about how biased and awful the peer review system has gotten, [Spencer] should (at the very least) get a statistician to work with him and do the modeling right, and then submit it for publication in a reputable journal. " "Twice I have testified in congress that unbiased funding on the subject of the causes of warming would be much closer to a reality if 50% of that money was devoted to finding natural reasons for climate change." "On the claim that climate alarmism is due to research funding: this incentive exists in all science, yet it's never occurred in the past. And there's no evidence that it's occurring here: there's no way to dismiss the null hypothesis that scientists are worried because the data are worrying. On the other hand, there is evidence that climate skeptics are truly working off an agenda. ..."
Opposition to evolution and embrace of "intelligent design"
Spencer has been an active in advocating Intelligent Design over evolution, and argued in 2005 that its teaching should be mandatory in schools. Working with the Interfaith Stewardship Alliance, Spencer has been part of an effort to advocate environmental policy that is based on a "Biblical view" rather than science. As a defender of "Intelligent Design" creationism, Spencer has asserted that the scientific theory of evolution is really just a kind of religion. Criticism of "Global Warming Blunder"
Spencer's arguments in The Great Global Warming Blunder were critiqued extensively in a three-part series by Utah geochemist Barry Bickmore,,. "But as Arthur Smith pointed out, after addressing the problems with Spencer's model, "... The first thing a true scientist should think of in a situation like this doesn't seem to have even occurred to Spencer. "What if I'm wrong?" "[Spencer's] research looked at cause and effect of clouds and warming. Contrary to the analysis of a majority of studies, his found that for the past decade, variations in clouds seemed more a cause of warming than an effect. More than anything, he said, his study found that mainstream research and models don't match the 10 years of data he examined. Spencer's study concludes the question of clouds' role in heating "remains an unsolved problem." The paper was interpreted by Fox News and the Heartland Institute as casting doubt on climate predictions.,. "Errors identified by climate scientists "...range from the trivial (using the wrong units for the radiative flux anomaly), to the serious (treating clouds as the cause of climate change, rather than resulting from day-to-day weather; comparing a 10 year observational period with a 100 year model period and not allowing for the spread in model outputs)." "Within three days of the publication of Spencer & Braswell 2011, two climate scientists (Kevin Trenberth & John Fasullo) repeated the analysis and showed that the IPCC models are in agreement with the observations, thus refuting Spencer & Braswell’s claims. An independent analysis by Andrew Dessler also confirms the Trenberth & Fasullo result." "This new paper is arguing is that clouds are forcing the climate, rather than the more traditional way of thinking of them as a feedback. This is not, in fact, a new argument...[and] is extremely weak. What they do is show some data, then they show a very simple model with some free parameters that they tweak until they fit the data. They then conclude that their model is right. However, if the underlying model is wrong, then the agreement between the model and data proves nothing. ...if Spencer were right, then clouds would be a major cause of El Niño cycles—which we know is not correct. Talk to any ENSO expert and tell them that clouds cause ENSO and they’ll laugh..."
In Sept 2011 Remote Sensing editor-in-chief Wolfgang Wagner resigned, saying that the paper should not have been published - that while "[peer review is] supposed to be able to identify fundamental methodological errors or false claims (…) the paper by Spencer and Braswell that was recently published in Remote Sensing is most likely problematic in both aspects and should therefore not have been published" - and noting that while "minority views are and should be welcomed in the scientific literature...[this] does not mean that long refuted arguments should be able to keep being published". He added, "I would also like to personally protest against how the authors and like-minded climate sceptics have much exaggerated the paper’s conclusions in public statements..."
6. For years into the future, the article is quoted by deniers of human-induced climate change as evidence that the science is uncertain. 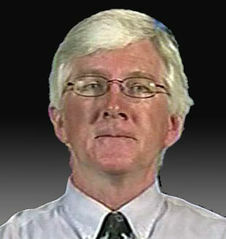 In December 2010, Spencer held a press conference to criticize an article published in Science by Andrew Dessler of Texas A&M University, that indicated warming-induced changes in cloud cover would tend to create further warming; and speculated on his blog, "I suspect – but have no proof of it – that Dessler was under pressure to get this paper published [before the Cancún climate summit ended)] to blunt the negative impact our work has had on the IPCC’s efforts." "The professional response to rebut a scientific paper is to submit a paper that corrects any mistakes or at the very least to submit a letter to the publishing journal. It is completely inappropriate for a scientist to attempt to publicly sabotage a paper by issuing a press release or by holding a press conference about another colleague’s paper." Dessler himself had held no press conference..
“There was never a word about Cancún... Dessler never asked to get the paper expedited"... once peer review was complete, Smith says, the editors pushed to have it published in time for the annual fall meeting of the American Geophysical Union (AGU) in San Francisco, California, which begins on Monday, 13 December. “I wanted to get it out before AGU.”"
"Spencer and Christy sat by for most of a decade allowing — indeed encouraging — the use of their data set as an icon for global warming skeptics. They committed serial errors in the data analysis, but insisted they were right and models and thermometers were wrong. They did little or nothing to root out possible sources of errors, and left it to others to clean up the mess, as has now been done"
Spencer is closely associated with Dr John R. Christy who also works at the University of Alabama at Huntsville. Spencer is a board member of the George C. Marshall Institute  At the George C. Marshall Institute roundtable in 2006 Spencer said "We are not saying that we don't believe that there can be significant global warming. As John [Christy] said, if you add CO2, something has to change. But things are changing all the time anyway. The big question is: So what? How much is it going to change, compared to other things? And what can you do about it?" As a Board Member of GMI, he knows the funding sources of the organization, which includes moneys from Exxon profits. GMI is a front group to which Exxon and others funnel corporate dollars to advance a corporate agenda. While Spencer's claims to receive no "corporate funding" may be technically true, since GMI is a non-profit that is funded by other non-profits set up by oil and gas companies to help launder their profits and advance their policy agenda, he devotes significant time aiding the agenda of such corporations.. There is no mention of his connection to the George C. Marshall Institute on the "About" page of his weblog. ↑ Barry Bickmore. Anti-Climate Change Extremism in Utah. Roy Spencer. Retrieved on 2011-08-04. ↑ 3.0 3.1 "Taking Earth's temperature," University of Alabama in Huntsville website, accessed March 2009. ↑ David Klepper, "Expert: We must act fast on warming," The Wichita Eagle (Kansas), September 24, 2008. ↑ Nicholas Berini (2010-09-16). It's Pacific Decadal Oscillation. Skeptical Science. Retrieved on 2011-05-28. ↑ Barry Bickmore (2011-05-20). Roy Spencer’s Latest Silver Bullet. Anti-Climate Change Extremism in Utah. Retrieved on 2011-05-28. ↑ Frank Beckmann, "Skeptical scientists caution Obama on climate change fixes," The Detroit News (Michigan), December 5, 2008. ↑ Rick Piltz (2011-07-18). NRC: emissions choices today have implications for global climate on the scale of millennia. Climate Science Watch. Retrieved on 2011-08-12. ↑ Roy Spencer (2009-11-28). My Top 10 Annoyances in the Climate Change Debate. Roy Spencer, Ph. D.. Retrieved on 2011-07-28. ↑ Roy Spencer (2011-07-15). Our Refutation of Dessler (2010) is Accepted for Publication «. Roy Spencer, Ph. D.. Retrieved on 2011-07-28. ↑ Roy Spencer (2011-01-03). Why Most Published Research Findings are False. Roy Spencer, Ph. D.. Retrieved on 2011-08-12. ↑ Anonymous, via Michael Tobis (2011-08-10). On Nonscientific Bias in Climate Research. Only In It For The Gold. Retrieved on 2011-08-12. ↑ Penfold, Michael (2007). The Evolution Crisis. ISBN 1900742241. ↑ Seth Borenstein (2011-07-29). Study on how much heat cloud cover causes sparks debate, criticism from climate scientists. WHNT. Retrieved on 2011-08-03. ↑ no byline (2011-07-29). Does NASA Data Show Global Warming Lost in Space?. FoxNews.com. Retrieved on 2011-08-03. ↑ James M. Taylor (2011-07-27). New NASA Data Blow Gaping Hole In Global Warming Alarmism - James Taylor - Endpoint Analysis -. Forbes. Retrieved on 2011-08-03. ↑ 31.0 31.1 31.2 Michael Ashley (2011-08-03). Spencer & Braswell 2011: Proof that global warming is exaggerated? Or just bad science?. Global Warming: Man or Myth?. Retrieved on 2011-08-03. ↑ 32.0 32.1 Joe Romm (2011-07-29). Climate Scientists Debunk Latest Bunk by Denier Roy Spencer. ThinkProgress. Retrieved on 2011-08-03. ↑ Bart Verheggen (2011-09-02). Spencer and Braswell fundamentally flawed, journal editor resigns «. 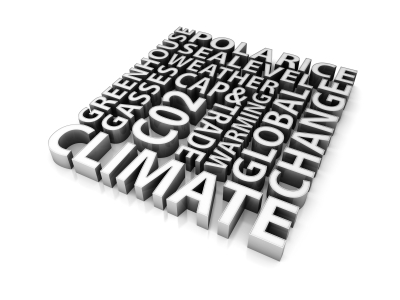 My view on climate change (blog). Retrieved on 2011-09-03. ↑ Eli Rabett (2011-09-03). Honor and Respect. Rabett Run. Retrieved on 2011-09-03. ↑ Scott Mandia (2010-12-11). Roy Spencer Steps Outside Protocol to Attack Scientist. Global Warming: Man or Myth?. Retrieved on 2010-12-13. ↑ Ray Pierrehumbert (2008-05-21). How to cook a graph in three easy lessons. RealClimate. Retrieved on 2010-12-11. ↑ Diane Farsetta, "Oil Lobbyist's 'News' Denies Inconvenient Truths: WTOK-11's Hot Air Misleads Viewers," Center for Media and Democracy, November 14, 2006. Assessing contrarian Roy Spencer's science and outreach, an edited-down variant of a context-and-link-rich (albeit pseudonymous) account of Spencer's views and actions in climate science. Global warming skeptic: Roy Spencer profile on SkepticalScience; climate statements made and rebutted. Accessed 2011-11. "FACTSHEET: Roy W. Spencer", Exxonsecrets.org, accessed March 2007. George C. Marshall Institute, "Roy Spencer", accessed March 2007. Goddard Space Flight Center, "Roy Spencer", accessed March 2007. "Roy Spencer", in Tech Central Station, accessed March 2007. Ray Pierrehumbert (2008-05-21). How to cook a graph in three easy lessons. RealClimate. Retrieved on 2011-03-12. Tamino (pseudonym) (2008-07-28). Spencer’s Folly. Open Mind. Retrieved on 2011-03-12. PR man James K. Glassman, "Hurricanes and Global Warming: Interview with Dr. Roy Spencer", Capitalism Magazine, September 14, 2005. Dr. John R. Christy and Roy Spencer, "Satellite Temperature Data," George C. Marshall Institute, April 17, 2006. Roy Spencer, "Some Convergence of Global Warming Estimates," George C. Marshall Institute, August 11, 2005. This page was last edited on 11 October 2017, at 20:58.